Tucked away on Caryll Street within Liverpool’s so-called Baltic Triangle is Gibberish Brewpub, one of the most recent additions to the city’s growing number of great beer venues. It’s founder, Gaz Matthews, is perhaps best known for helping to put Liverpool on the craft beer map as the co-founder of Mad Hatter Brewing Company. Matthews parted way with the brewery he helped establish in late 2017, but this wasn’t to signify the end of his relationship with the brewing industry. Instead he opted to take on Mad Hatter’s original site and brewing equipment – after the latter had expanded to a larger space – launching his brewpub concept in turn. Like many modern brewery taprooms Gibberish is located in a warehouse, away from high streets and other similar commercial thoroughfares. To get yourself here you first need to possess the intention to do so. And, as with brewery taprooms, a brewpub has to have that unique selling point – something that typical pubs can’t themselves possess. Just like a taproom, drinking brewery fresh beer at the source is a good start. However, a brewpub aims to combine the promise of drinking where your beer is brewed with the welcoming atmosphere of a more traditional boozer. Carryl Street is sleepy in the dark when I arrive. It’s only a ten minute or so walk from the town centre, or the touristy docklands, which makes the sudden lack of people around a little unnerving. The entrance to Gibberish itself is relatively inconspicuous – a set of glass doors set into the side of a warehouse that looks like one you’d typically find a craft brewery in these days. The warm light from within brings the brewpubs striking logo, which is mounted onto the doors, into focus. It appears to be a baboon’s head grafted onto the body of an owl, holding a mash paddle aloft, as you do. That same logo sits atop a strikingly psychedelic mural that covers the wall immediately to your right as you enter. Rows of strip lights hanging from the ceiling shed a warm light over the small bar and rows of the German beer hall style tables and chairs that have become such a common feature in many a brewery taproom. The space is completed by a small PA system in the corner. Music is as important fixture at Gibberish as the beer, be it a live band performing or Matthews playing albums he loves in their entirety from start to finish, as the artist intended. This attitude goes towards Matthews’ efforts to set Gibberish Brewpub apart from a typical brewery taproom. The other thing, of course, is its beer. And not just its own... although you’d be doing yourself a disservice if you didn’t taste Matthews’ brews. On my visit these ranged from a delectably dry and citrusy Belgian-inspired strong Golden Ale to a cask Best Bitter, brewed using the recently revived heritage malt Chevallier, which added a striking sweetness to the spice of British hops. Brewpubs have been an instrumental part in the rise of the American craft brewing industry. Of the 6266 recognised breweries in the United States by the Brewers Association, 2252 of these are considered to be brewpubs – that’s more than the total amount of breweries in the UK combined. American brewpubs often feel very familiar, even among rival chains. It’s common to find exposed brick walls alongside leather clad booths and a hefty wooden bar, with plenty of heavy bar stools lined up like sentinels – should you prefer the chatty vibe of the bar to the solace of table seating. Food is an integral part of the classic American brewpub and with this comes table service, which you’ll get if you’re eating, or just popping in for a beer or two. In fact so many American brewpubs feel very similar in their look, feel and offering. Even the beer list, the supposed point of difference that makes this model stand out, is often near identical from venue to venue. There’s always a classic pale and IPA on tap, usually joined by an ESB, replete with spiel that cites British beer as an influence, along with a Kölsch and a dry “Irish style” stout, almost certainly served under nitrogen. It might not sound like the most exciting beer offering in the world, but the lure of stainless steel and brewery fresh beer is something that has propelled the brewpub model to occupying a huge space within the US market. Not all US brewpubs follow this exact model, however. Atlanta’s Wrecking Bar is often praised for its exceptional food and eclectic beer offering, which although does feature some of the styles mentioned above, also features a Gose and even an Milkshake IPA. One of the most well-respected brewpub chains is Pizza Port out of San Diego, California. Pizza Port combine a laid back, West Coast vibe with plenty of hop bombs on tap. German beer hall style seating adds a communal vibe and the excellent pizzas simplify the need for an overcrowded brewpub menu. Along with Wrecking Bar it’s proof that Brewpubs don’t always need to rely on the tried and the tested to lure in punters. Back in the UK we haven’t seen quite the explosion of brewpub chains as in the US, perhaps due to an existing volume of great, beer-focused pubs. That hasn’t stopped the likes of some chains with that familiar, accessible feel – such as Zerodegrees or Brewhouse and Kitchen – from entering the market, however. Not all British brewpubs plough this reliable furrow though. Tucked behind The Antelope pub in Surbiton, south west London (a stones throw from the historic Hampton Court Palace) you’ll find Big Smoke Brewing Company. In a heavily populated area such as this, what better way to sell beer than to do so right on your own doorstep. However, working within the brewpub model hasn’t been without its challenges for Big Smoke. Craig cites managing logistics and a lack of space as the most difficult hurdles his brewery has had to overcome. Despite having to take on additional warehouse space, and the time it takes to move stock between this and the brewery, Craig admits that the ability to allow local consumers to engage with a fully functioning brewery right on their doorstep makes it all worthwhile. 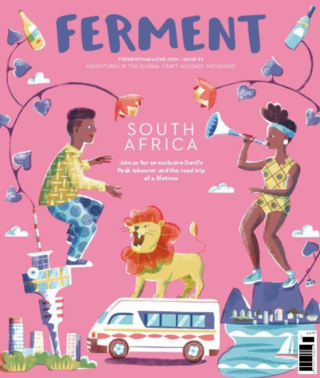 The taproom, and the consumer engagement that stems from having a direct retail outlet for breweries’ beers has been one of the driving factors for the UK’s small British breweries over the past decade. You only have to look at spots like London’s Bermondsey Beer Mile, or under Manchester city centre’s many railway arches on a weekend to see just how popular the taproom has become. In the UK, the brewpub could become the next link in the taproom’s evolutionary chain – providing a more mature offering in an environment altogether more cosy than a warehouse or railway arch. The comfy seating, exceptional service and high-quality food offering found in America’s brewpubs could, perhaps, one day soon become the norm in the UK. Don’t just take my word for it either. Both Leeds’ Northern Monk and Bristol’s Left Handed Giant included brewpub plans in their ambitious recent crowdfunding portfolios. While Left Handed Giant have their sights set on increasing their offering within Bristol itself, Northern Monk plans to add a site in London, complimenting its already well-established taproom back up north. It’s one of the progenitors of craft beer within the UK that will get to this stage first, however. In fact by the time you read this article it’s likely that BrewDog’s Tower Hill brewpub, located right by London’s famous Tower Bridge, will already be open. This new site will be BrewDog’s 34th in the UK overall, and 8th in London (excluding the Draft House chain of pubs that the Scottish brewery recently acquired) but as well as becoming its largest pub, it’ll also be its first outside of its home in Ellon to feature its own brewery. This will be no vanity project either, with a 10 hectolitre brew kit forming the centrepiece of the huge bar, which will reportedly employ over 70 people. This doesn’t feel like it’s merely evidence of the American brewpub model taking root in the UK, or simply that the popularity of taprooms is reaching the next stage in its evolution. 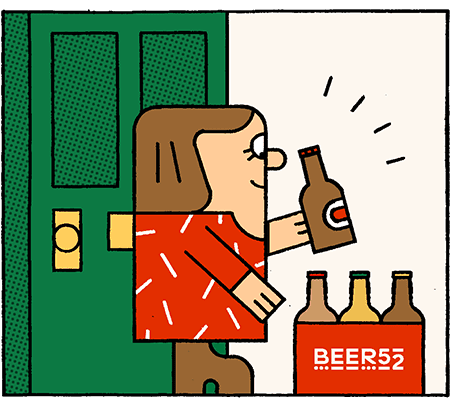 Instead it’s proof positive that modern beer in the UK is still finding ways to expand and engage with an increasingly large and diverse range of people – and that, for now at least, their thirst for great beer is seemingly unquenchable.